On June 19 Twitter introduced two new ways to present company’s products to encourage purchasing through the platform – Product page and Product collections. 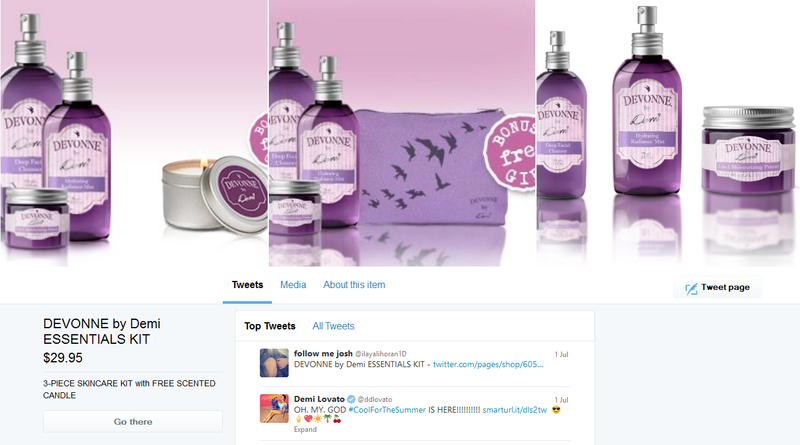 Product Pages allow Twitter accounts to share tweets that take people into a shopping experience. The product pages are dedicated landing zones that include tweets about the product, user reviews, photos, videos, pricing and in some cases a “Buy” button that allows people to make purchases without leaving Twitter. “Buy” button still works in a test mode. This option is very similar to boards in Pinterest. Collections enable brands or high-profile curators to compile a group of product pages to give people a place to browse. These 2 tools will give businesses the opportunity to increase their visibility on the social network. Read more at official Twitter blog. We are excited to find out if a dating site owner can possibly use the new features. We’ll wait till the beta testing period is over and look into it and will keep you updated.